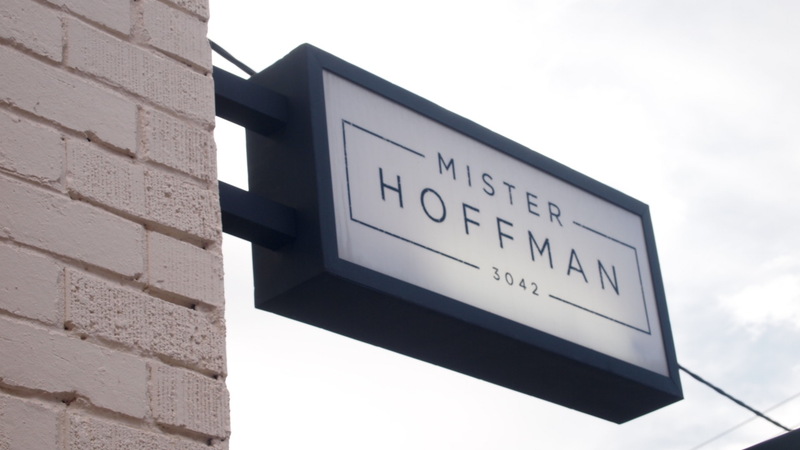 Breathing life into the old Hoffmans Road shopping strip, Mister Hoffman is the latest addition to the quickly growing inner west café market. 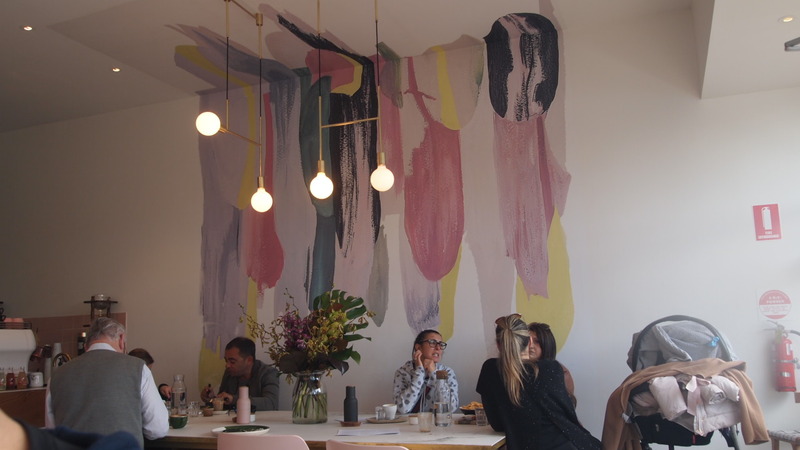 The fit out, both in and outdoors is stunning, it’s light and airy with pastel details throughout. It’s quite a refined space and marks a step away from the converted warehouse/industrial style cafes we’ve grown accustomed to. I genuinely loved the feel of it and I can understand why it’s always packed full of locals. Word is bound to travel around town and before you know it people will be coming from all over to visit this pretty eatery. 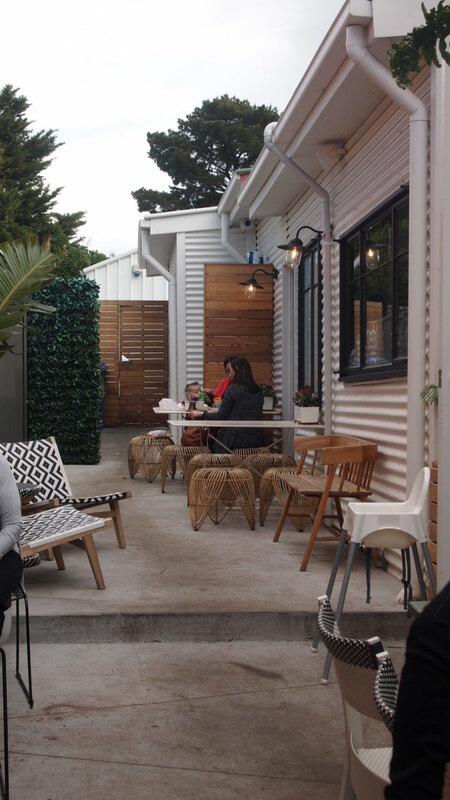 However a word of warning, there is limited indoors seating so it may be difficult to get a seat on a cold day, but on the upside the beautiful outdoor courtyard is the perfect place to spend a summers day. The food offering is limited but solid all the same. 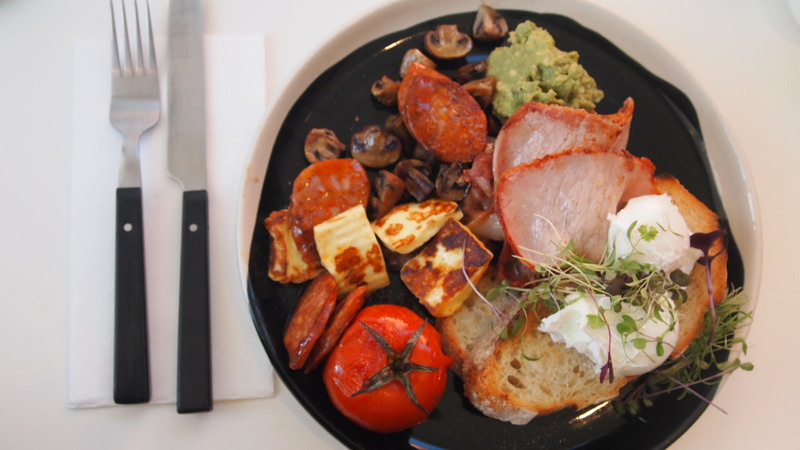 It includes some staples like the Mister Big, which is their take on a classic big breakfast and a few modern options like the Acai Berry & Coconut Cream Chia Pudding . 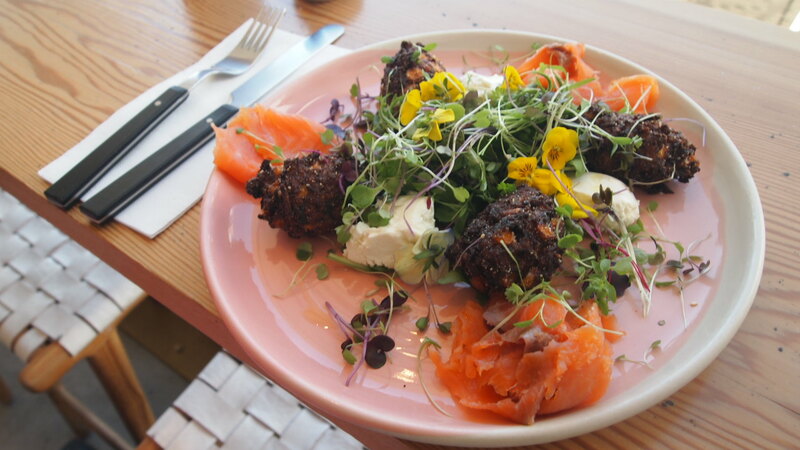 For me, I couldn’t go past the Corn, Zucchini and Quinoa Fritters. 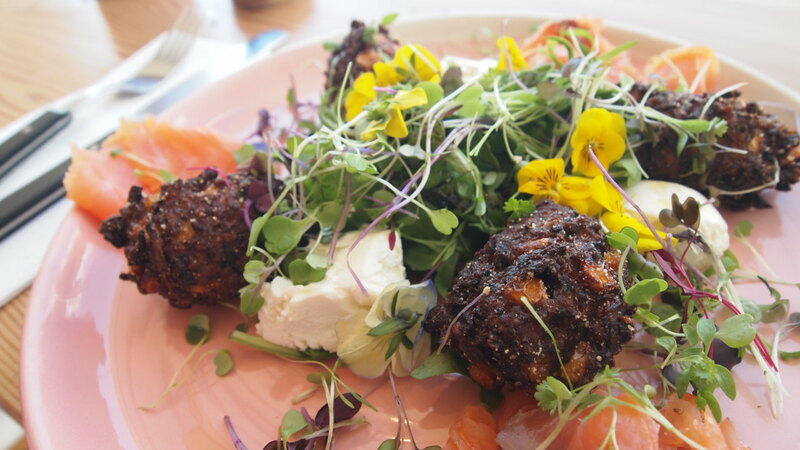 Served on a lovely pastel pink plate with smoked salmon and whipped goat’s feta , the crispy fritters were moist and full of flavour. 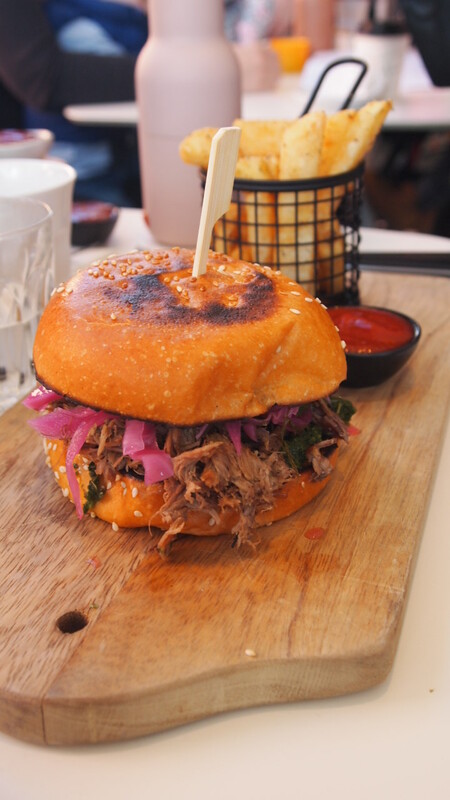 General consensus amongst our group was that this was the best dish we ordered and definitely worthy of a return visit. 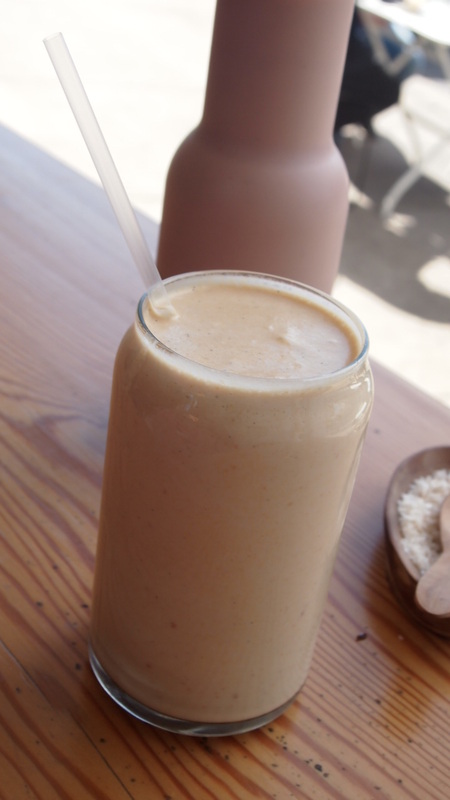 Another impressive menu item was the peanut butter and macadamia shake. Take my word when I say it was insanely tasty. Forget all of the over the top freak shakes out there, this simple shake gives them a run for their money because really how can you beat peanut butter and macadamia. I downed my shake in no time and was tempted to go a second. 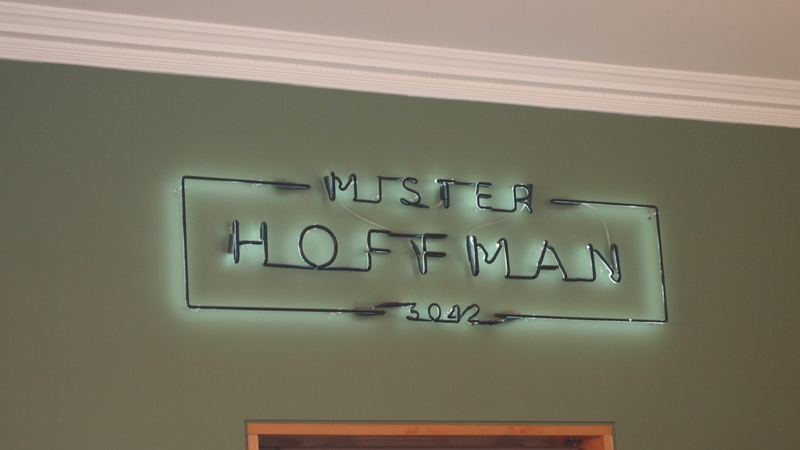 I thoroughly enjoyed our visit to Mister Hoffman and look forward to our next brunch date together.